With its AXS TV broadcast deal, CES MMA has become an increasingly attractive destination for rising talents and fighters who have flirted with a UFC run in the past, such as CES MMA 27 fighters Chuck O’Neil, Julian Lane and Jon Manley. O’Neil gets the top billing at the event. He is tasked with defending his CES MMA welterweight crown against Emmanuel Walo, a prospect who has not lost a fight since 2011. O’Neil made his pro debut in 2006 and amassed an 8-3 mark before entering into The Ultimate Fighter 13 competition. He made it onto the reality show as an alternate after Myles Jury was forced out of the competition with an injury. After suffering a loss to Zach Davis, O’Neil was given a second chance as one of the wildcard picks. He won his wildcard fight against Javier Torres and avenged the loss to Davis en route to the semifinals, where he was bested by eventual season winner Tony Ferguson. The Bellator veteran fought at the TUF finale event, but fell short via unanimous decision to Chris Cope. 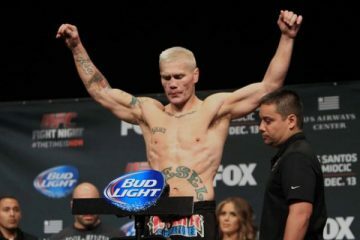 Returning to the regional circuit, he edged UFC veteran Marcus Davis via a split decision before suffering losses in two of his next four fights. 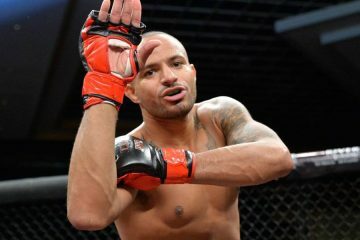 The 29-year-old has righted the ship over his last three outings, in which he has defeated Chris Woodall, Roger Carroll and Ricardo Funch under the CES MMA banner while also claiming the promotion’s welterweight championship. The Mass BJJ product is a brown belt in Brazilian Jiu-Jitsu and has stopped six of his opponents via submission. Walo stumbled out of the gates to a unanimous decision loss in his 2011 pro debut, but the New Jersey-based fighter has gone undefeated in eight subsequent bouts. He claimed six wins, including one split decision, and a draw before entering the World Series of Fighting for his most recent outing. Initially, Walo was served with a split decision loss against Tenyeh Dixon. However, the result was eventually overturned to a disqualification victory for the 28-year-old. Walo’s biggest drawback is his lack of finishing ability. He has just one knockout victory and one submission finish. Walo’s recent split verdicts, first in a win over a sub-.500 fighter (against whom Walo had also fought to a draw) and then in what was initially a loss to another sub-.500 fighter before the result was overturned, raise some serious red flags about his abilities. He does hold a few wins over opponents who sit at or just above the .500 mark, but he doesn’t have a true standout victory on his resume. Without finishing ability, Walo has to be able to get the better of his opponent for at least two rounds while also not succumbing to his opponent. He’s managed to hang in there so far, but O’Neil marks a significant step up. The Mass BJJ fighter has locked horns with a number of talented fighters, including the aforementioned Ferguson, Davis and Funch. O’Neil is a tough fighter whose only recent losses have come against solid competition in the form of Gil de Freitas and Kevin Nowaczyk. He’s a skilled grappler, but he has also ended four fights with his fists. Walo hasn’t been stopped yet, but there’s always a first time and O’Neil is certainly capable of making it happen. If O’Neil can’t score the finish, the TUF alum’s odds of victory do take a substantial hit. He’s only 4-3 in fights that have gone the distance. However, O’Neil, with his experience and skill set, should be able to gain the upper hand over Walo. If the stoppage isn’t there, O’Neil will use his grappling abilities to gain the upper hand and ride out a decision win. Ramada CoCo Keys Ballroom in Omaha, Neb. The women’s divisions above bantamweight don’t receive a lot of time in the national spotlight. While Invicta and Bellator have made some inroads in the featherweight and lightweight divisions of women’s MMA, the majority of the ladies who compete above 135 pounds earn their paychecks scattered across the globe on smaller regional and international cards. 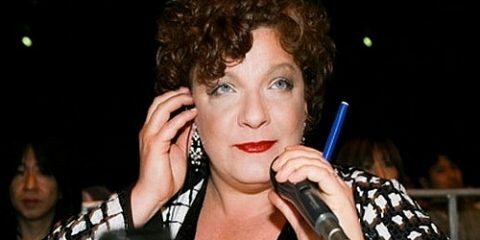 Jozette Cotton, who currently resides in the No. 2 spot among lightweights in the Combat Press Women’s MMA Rankings, recently stepped up to the big show with a fight in the Bellator cage, but she now returns to her old stomping grounds to fight Kilistina Makihele under the Dynasty Combat Sports banner. Cotton, who topped Holly Lawson in her Bellator debut, started fighting as an amateur in 2012. The Nebraska native picked up a TKO win and a unanimous decision before transitioning to the pro ranks in September of the same year. She made her debut against Kate Bloomfield and scored a second-round TKO victory. Among her subsequent victories, the “#1 Head Busta” needed just 93 seconds to knock out fellow ranked fighter Elshaddai Cleffman and was able to edge Jessica Halverson, another ranked adversary, on the scorecards. Her victims now possess a combined record of 9-15, with Cleffman and Halverson each checking in at 4-4 and qualifying as the only .500-or-above fighters on Cotton’s resume. 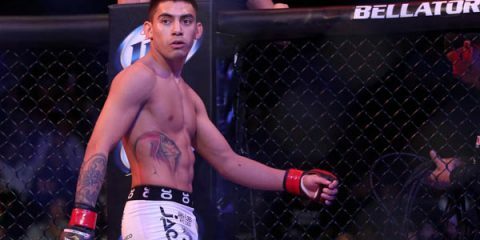 Makihele fights out of Utah. She has posted two first-round finishes since launching her pro career in April 2014. Those finishes, a TKO in under two minutes and a 65-second knockout, came against a set of opponents who now hold a combined 1-4 mark. 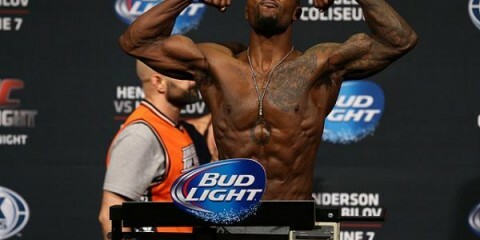 The 41-year-old’s fights have thus far taken place in the 170- and 185-pound weight classes. Makihele is an extremely aggressive brawler, but she lacks technical striking skills. She tends to come out swinging while pressing forward. Her ground-and-pound attack can be overwhelming as well, but she isn’t a takedown machine. Instead, her chaotic style leads to a lot of knockdowns and tripped-up opponents who can’t keep their footing. She might not succeed quite as much in that department against Cotton, who is much more methodical with her takedowns. Cotton has a tendency to clinch up and use trips to drag her opponent to the mat. If that doesn’t work, she relies on her size to simply bully her foe to the canvas. Once on the ground, Cotton has an aggressive ground-and-pound attack of her own that has contributed to a spotless record and three stoppages from strikes in her five-fight career. Makihele is known by the nicknames of “Demon Hands” and “Killa,” but she’s going to have a hard time living up to those monikers against someone as accomplished and dominant as Cotton. We haven’t seen what Makihele is capable of in the grappling department, whereas Cotton has demonstrated dominance from the top and an ability to escape from the bottom. Makihele’s best chance at a victory is to turn this into an upright brawl, which is her standard operating procedure. Unlike Makihele’s past opponents, however, Cotton should have an answer for Makihele’s fighting style. Cotton will get this contest to the mat early and often. Makihele’s ground game could be a factor, but it’s safe to assume that she’s not on the same level as her more experienced foe. Cotton has gone two fights without a stoppage, but that drought will come to an end with a TKO victory in this encounter. Perhaps the most overlooked card of the weekend, at least in terms of mainstream MMA media coverage, is the Super Brawl Showdown card slated for pay-per-view. The event, which has been put together by former world champion boxer “Sugar” Shane Mosley’s boxing and MMA event promotion company and takes place in Phoenix on the same weekend as the city hosts the Super Bowl, features the return of UFC veteran Joe Stevenson, as well as several other familiar faces for UFC fans and an intriguing women’s fight between Brenda Gonzales and Lacey Schuckman. Gonzales fights out of FIT NHB in Albuquerque, N.M. The 32-year-old made her pro debut in 2011 and reeled off four straight wins. In her fifth pro fight, “Boom Boom” stepped up to the bantamweight division and lost to Rin Nakai in Japan. She bounced back with an impressive submission win under the RFA banner, but suffered another setback in her most recent outing when she dropped a five-round decision to Colleen Schneider. Gonzales has a boxing background and has tallied three wins by some form of knockout. Schuckman has been fighting professionally since 2009 and has bounced between the atomweight, strawweight and flyweight divisions. The 26-year-old has a record that features quite a few notable names, but she has never posted a winning streak of more than two fights. Her most notable victory came against Diana Rael, but she also managed to impress as an atomweight in a split decision loss to Michelle Waterson. “The Ladie” has fought twice under the Invicta banner, where she dropped the decision to Waterson and fell victim to a submission against Ayaka Hamasaki. 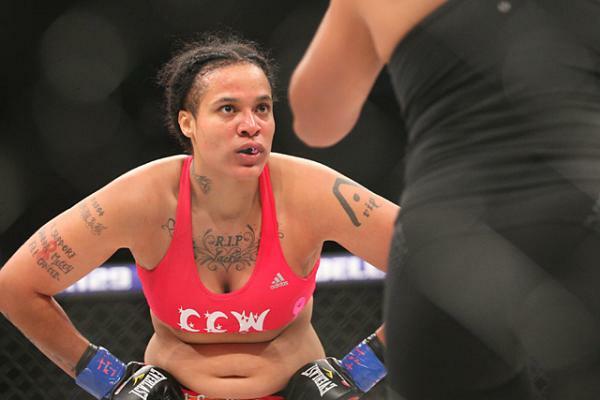 The Strikeforce veteran has also suffered losses to such notables as Jeri Sitzes, Carla Esparza, Patricia Vidonic and Amber Stautzenberger. Neither of these ladies has been able to step up their game and succeed against high-level opponents with any regularity. Schuckman has faced a number of former champions, but she typically ends up losing those fights. Gonzales, a former King of the Cage champion, has seen more consistency in her career, but the losses to Nakai and Schneider are significant setbacks. Schuckman is a scrappy fighter who has picked up wins at every weight class, but size could be a factor in this contest. Gonzales has spent her career fighting at flyweight and bantamweight, and she should enjoy a significant edge in size. Schuckman, despite the loss to Waterson, appeared to be at her best when she tipped the scales at 105 pounds. Gonzales has the edge on the feet, but she could struggle if this fight goes to the mat. Schuckman has notched six submission wins and could pose a lot of danger to Gonzales in that area, but she will have to get creative to lure Gonzales to the ground. Gonzales is going to try to stick to her boxing and fight at range until she has Schuckman hurt. If this fight does hit the canvas, Schuckman has a strong chance to pick up the submission win and add a significant name to her resume. However, Gonzales should be able to make this into a stand-up encounter and simply overpower Schuckman when the veteran attempts to drag the action to the ground. The combination of technical striking and stuffed takedowns will allow Gonzales to grind out the decision win.